The Academy Awards are almost here (Sunday, 7pm ET, ABC) and while everyone is talking predictions and wardrobes, I thought it would be fun to look back at Oscar history. 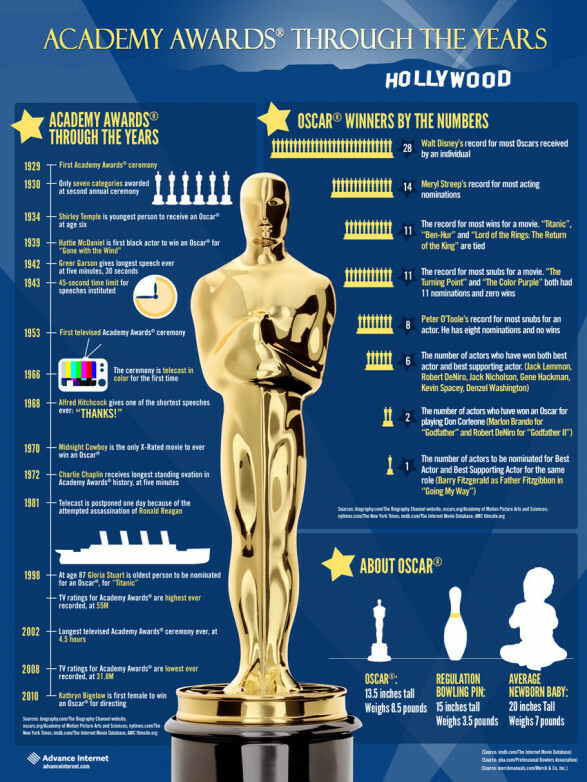 Here is a fun infographic from Advance Digital that takes a look at various milestones in the Academy Award’s history going back to the first show in 1929. The graphic is a year old, but still highly relevant and has a few pretty interesting statistics to go along with the timeline. Enjoy the infographic and the show!